The final selections are being made and organized. Things have been moving slow this week, due in part to an injury, but rest assured the project is still moving forward. I might be a week behind, but I'll make sure to work harder once I'm healed. Speaking of working hard, as I look over the selected photographs from the last 8 months, I realized just how much I pushed myself, how many days I could have slept in, done any number of other things on my long list, but instead, I chose to improve myself and this project. It's been such an extended, drawn out process to select the photographs that fit each adventure and story. It's a difficult thing to look at something you're emotionally attached to, only to move it to the recycle bin. It's a necessary step, not only for the project, but for my own personal growth as well. At first glance, it may seem normal. 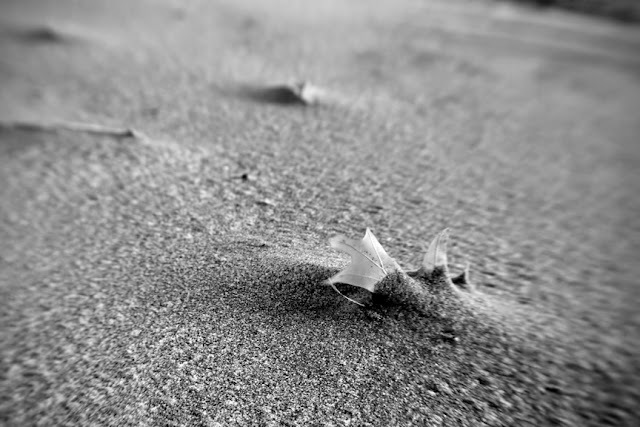 A single leaf, caught by the blowing sands. How many photographs of a single leaf in the sand have you seen? I can think of dozens, and not the photographs I made in the past. That's not the only reason this photograph ended up here on the blog and not in the book. It didn't fit. What does that mean, it doesn't fit? It means there are numerous elements that were present at the time I decided to press the shutter. Unfortunately, something happened along the way and this photograph lost the original feelings I had. The more I view it, the more I realize, I didn't manage to capture the essence of the moment. Now, I know I've been showing the mistakes for the first few posts, but there's a reason for that. 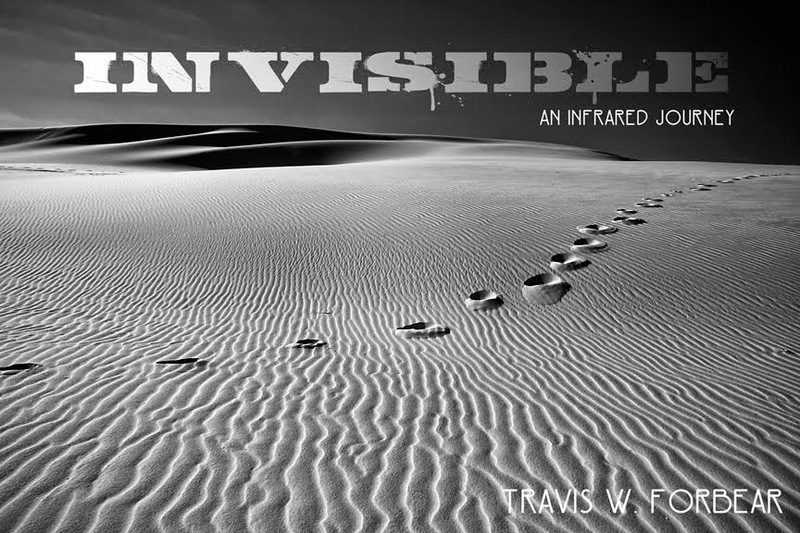 If I only showed the book images, there would be no reason to write the book. I want to make this project the best that I can. That's why, I decided early on, that I will not include examples of good and bad photographs for discussion. I'm showing the best photographs and the stories that go along with them in the book, which means, there's no room for the mistakes. That's not to say they're not important, or part of the story, but let's face the facts: would you buy a book that's full of mistakes and great work? Or, would you rather have the best I can provide? Since the choice is mine to make, I choose to show the best of my adventures. I will eventually start to show runner up photographs and some of the reasons they missed the mark, but photographs for the book will remain unseen until the project is finished. I'm mean that way. Bare with me and know the best is yet to come.